The feeling called love is the most special and magical feeling because this is the feeling that elevates your soul to the cloud nine and infuses the air of happiness in your life. No matter how difficult the time is, or how mundane your life is at present, love makes you feel alive and elated all the times. So, it’s time to show how much gratified you are to your beloved one for his/her pure love for you by sending a very romantic Valentine’s day special gift online. 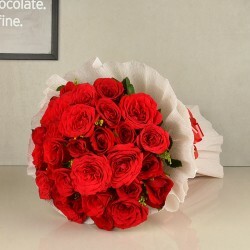 If both of you or your sweetheart lives in Nagpur, the industrial city of Maharashtra, you can easily order Valentine flowers to Nagpur from the online store of MyFlowerTree. 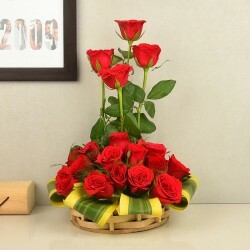 So, with the romantic season of love approaching faster, if you are planning to propose the special friend of your life or the new girl in your office whom you’ve fallen for at the first sight with then you must buy a nice bouquet of charming flowers before asking that million dollar question- will you be my girlfriend? Each of the flower arrangement offered in our store speaks about the saga of pure love in a subtle but prominent way. Just send Valentine’s flowers to Nagpur online from MyFlowerTree, and turn your love into the life-partner on this February, 14th. 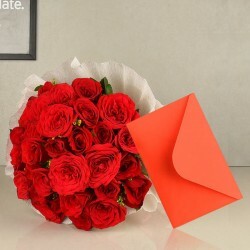 Why MyFlowerTree Only for Sending Valentine’s Flowers in Nagpur? 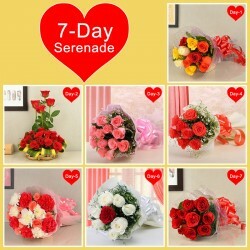 We only use freshest and the finest quality of blooms to create special Valentine’s bouquet for all of your customers. We always select meaningful flowers that can aptly withstand with the sentiment of the occasion. All we want to ensure that our customers are able to express their emotions in the best way to their beloved ones, and that’s the reason why we offer great discount deals to our customers on almost all the special occasions like Valentine’s Day. Ranging from the very popular flower arrangements of Red Love, Pink Love, Sunshine Lilies, Romantic Cherry, Energetic Punch to scintillating arrangements like Spray Rainbow Roses, Colourful smiles, 1000 Roses, each of these floral hampers reflects the true feelings of love, affection, and pure adoration.Along with the arrangement of garden fresh lovely flowers, you can even go for sending one of the excellent Valentine’s gifts to Nagpur. 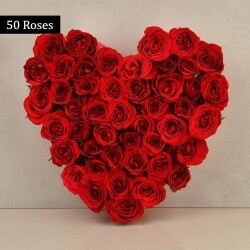 The list of gifts available in our store is pretty big and some of the very popular choices of Valentine’s gifts are chocolates, cakes, photo frames, personalized gifts, coffee mugs, bottle lamps, etc. 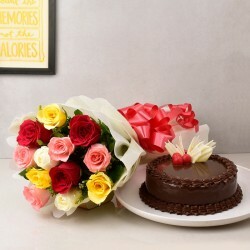 When it comes to surprising your beloved one on the occasion of Valentine’s Day, all you want to go for an online store that offers smooth delivery on-time. 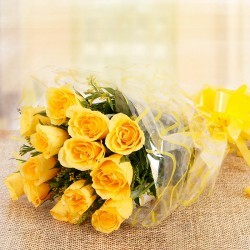 We, MyFlowerTree always takes pride in delivering your emotion to your dear ones on time for more than twelve years. The express delivery service offered by our online store features the special modes of delivery like same day and midnight delivery. How about making the Valentine ’s Day night a pure magical time? 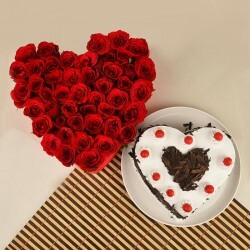 You can easily do it by opting for midnight delivery of Valentine flowers online in Nagpur. 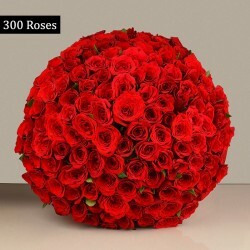 Now, finally, it’s the best opportunity to let your sweetheart know about the deepest feeling of your heart by sending one of the most beautiful flower arrangements online from MyFlowerTree.